From Kirstin Macfarlane – Bay of Plenty Times. Heading into today’s 30th anniversary race as the men’s division favourite, Phillips finished the 2km swim, 90km bike ride and 21.1km run in a time of 3 hours, 49 minutes and 5 seconds. The Christchurch man said the biggest hurdle in the race was the heat at the end, but generally felt good at the end of it, planning to celebrate with friends later in the day. “The second leg of the run was getting pretty hot,” Phillips said. 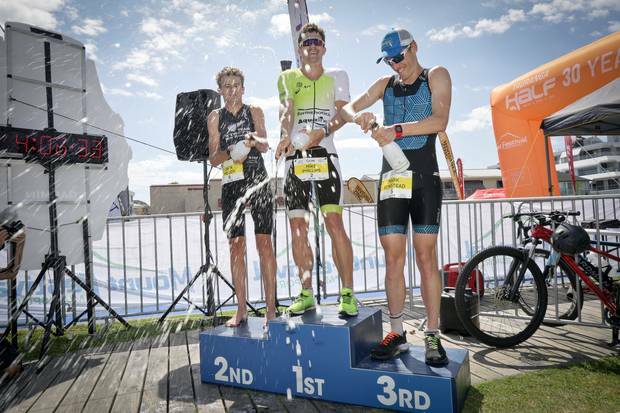 Coming in second was Auckland’s Jack Moody, finishing in a time of 3 hours, 50 minutes and 58 seconds and Auckland’s Mark Bowstead was third, with a time of 3 hours, 57 minutes and 11 seconds. 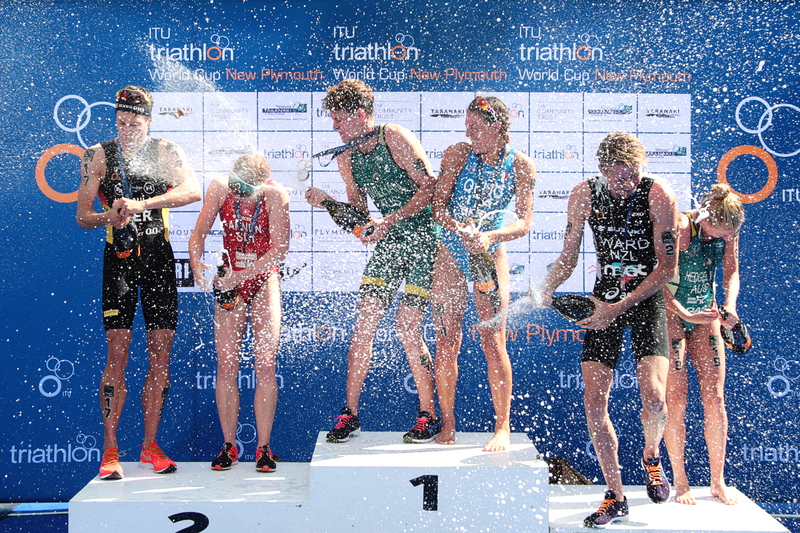 Phillips’ win follows a second placing at last year’s Tauranga Half in January, which was part of an outstanding year. 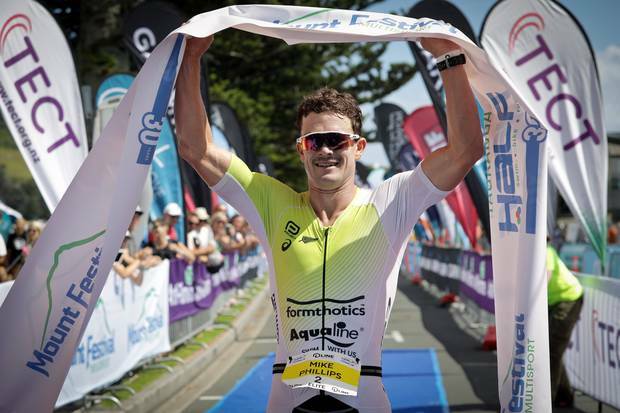 He also finished 5th at Ironman NZ, 16th at the Ironman World Championship in his first crack at Hawaii’s iconic Kona course, won the Challenge event in Melbourne, and the Taupo 70.3 in December. 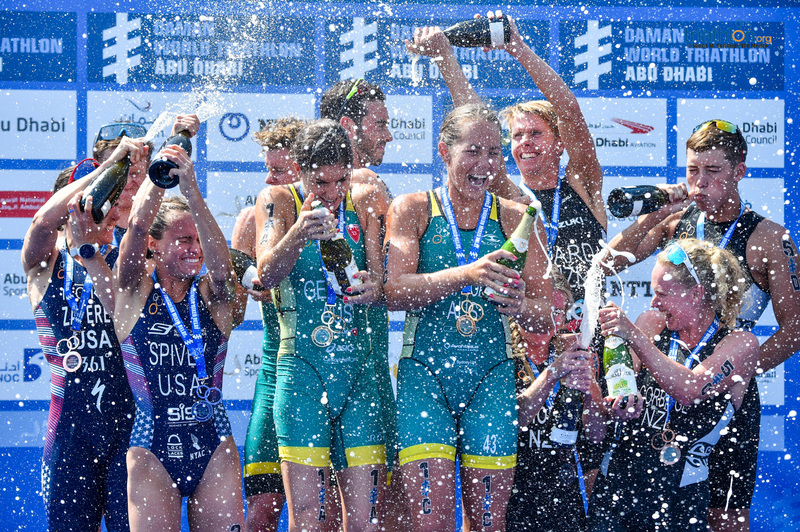 “The goal this year is to at least get on the podium,” Phillips said. He had family and friends cheering him on throughout the event and planned to head up Mauao tomorrow. 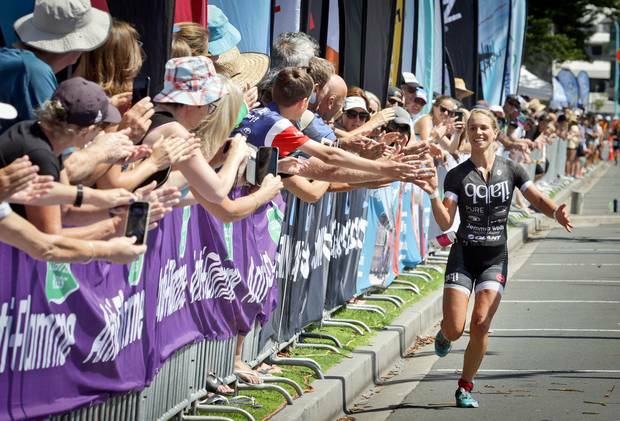 Crossing the finish line with plenty of support and cheering from the crowd – as well as a big smile on her face, Tauranga’s Hannah Wells won the women’s division of the Tauranga Half. This year was Wells’ second competing in the Tauranga Half and managed to finish the course in a time of four hours, 13 minutes and 19 seconds. In second place was Amelia Rose Watkinson from Auckland with a time of 4 hours, 15 minutes, 12 seconds and Auckland’s Rebecca Clarke came in third with a time of 4 hours, 16 minutes, 19 seconds. Going into the race she planned to keep up with her opponents in her weakest leg, the swim, and gain placings in the bike and her strongest leg, the run. She was happy with every part of her race, with the biggest struggle being that she didn’t know how close behind her nearest competition was. She was ecstatic to have taken her first win in front of a home crowd. 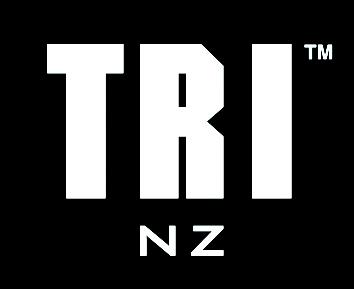 The iconic Tauranga Half is the headline event for the Mount Festival of Multisport, with about 800 athletes entered in today’s race. 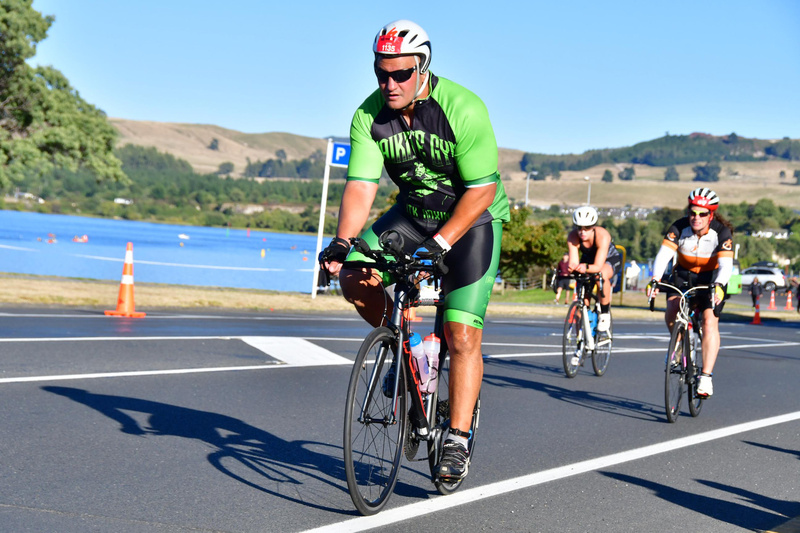 The Mount Festival of Multisport also featured a range of athletic and community events in Mount Maunganui including the Mount Run, Enduro and Höpt Soda AquaBike. Tauranga Half podium winners. from left, Jack Moody, Mike Phillips, and Mark Bowstead. Photo / Andrew Warner. Tauranga Half winner Mike Phillips, from Christchurch. Photo / Andrew Warner. Tauranga’s Hannah Wells crossed the finish line at the Tauranga Half with plenty of support from the crowd. Photo / Andrew Warner.